#stampinup #faithfulinkspirations I can't believe my "baby" just turned 24 years old! Well, he's not my baby, baby. I have twins who are younger than he is--but he's my first baby. It's hard to believe that not-so-little baby has turned into a kind-hearted, funny, thoughtful man. Man. He's a man! Wow. When did that happen? We celebrated by taking him to his favorite Indian restaurant where we stuffed ourselves silly. We had a nice time, even though we missed his siblings. It's kind of nice to socialize with our grown child. But he's still my baby! Of course, I had to make a card for him. And, of course, I had to use the "Truly Tailored" stamp set and coordinating True Gentleman Designer Series Paper. 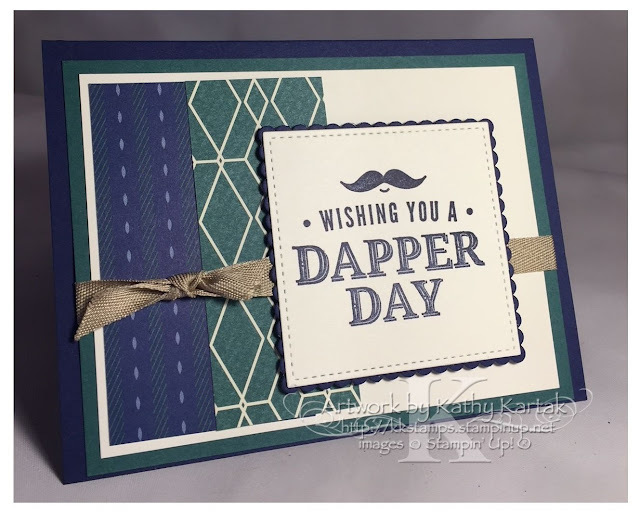 Since my son has a mustache (and a beard), I thought this was the perfect sentiment to use on his card. I stamped the sentiment in Night of Navy Ink onto Very Vanilla Card Stock and cut it out with one of the Stitched Shapes Framelits. I adhered that to a scalloped Night of Navy Square that I cut with one of the Layering Squares Framelits. Next, I adhered a 3-3/4" by 5" Very Vanilla panel to a 4" by 5-1/4" Tranquil Tide mat. I added two 1-1/2" by 3-3/4" strips of True Gentleman DSP to the Very Vanilla panel before I wrapped it with a length of Crumb Cake Classic Weave Ribbon. 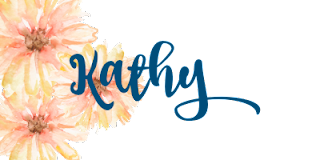 I adhered everything to a Night of Navy Card Stock card base and adhered the sentiment piece to the card with Stampin' Dimensionals. I also stamped the inside of the card, which I rarely do, but the "Truly Tailored" set has so many great images I couldn't help myself! I used the same 3-3/4" by 5" Very Vanilla panel and 4" by 5-1/4" Tranquil Tide mat combo that I used on the outside. 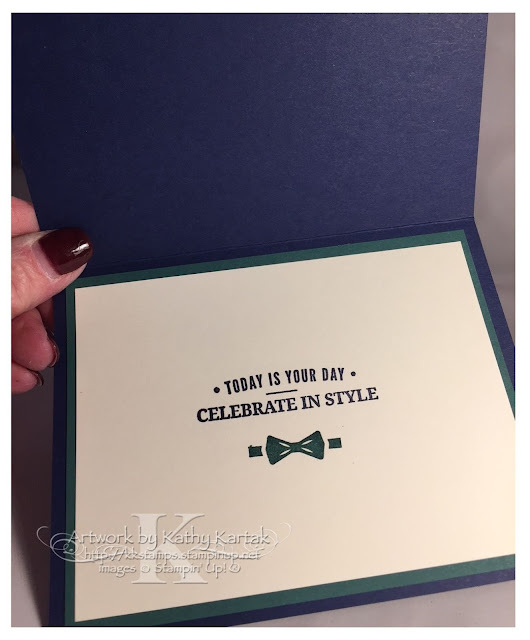 I stamped the sentiment in Night of Navy Ink and the bow tie in Tranquil Tide Ink. Such a nice card for a guy and such a great stamp set! !